What’s that practically swallowing Thang Hang whole, you ask? Why, nothing but fashion. Oh you interesting, Fashion, you. I will never fully understand your world but your existence does make for some pretty entertaining headlines so keep it up. 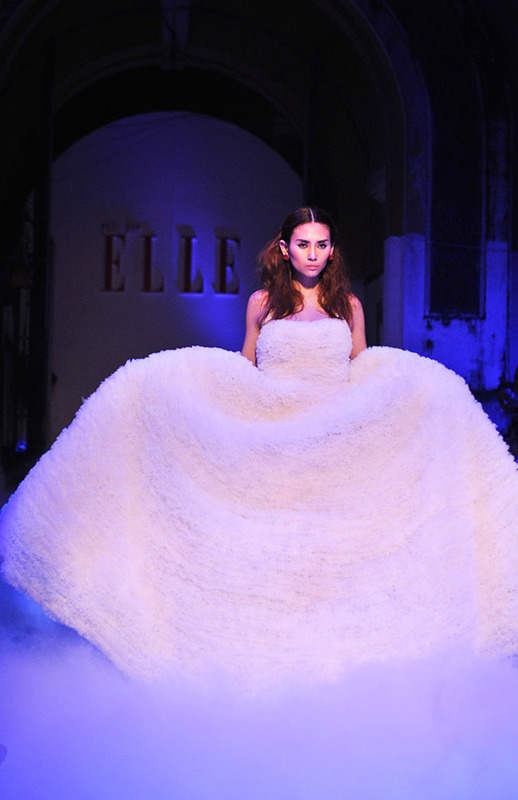 As seen above, this living-thing-of-a-dress is simply the highlight of designer Do Manh Cuong‘s “Giấc mơ tình yêu/A Dream of Love” line presented at the official launch party for ELLE Magazine in Vietnam. The new Vietnamese ELLE edition is published under the name Phai Dep – ELLE and is the first international upscale woman’s title to be launched on the Vietnamese market. The launch (the 15th since 2000) brings the total number of ELLE editions to 43 worldwide, and the number of editions in Asia to 10. ELLE Vietnam was published as of yesterday, October 21st, 2010, under a license agreement with Ringier Vietnam and their local partner: the Hanoi Women Entrepreneurs’ Association. 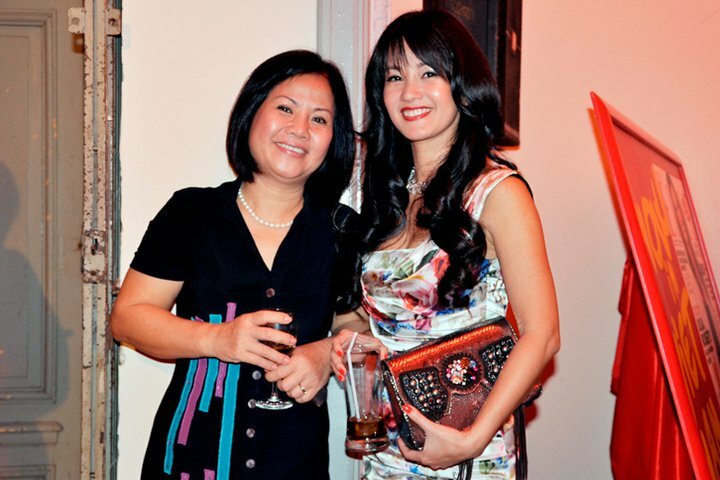 Nguyen Thi Thu Ha and Huong Color are the appointed Editor in Chief and Managing Editor of ELLE Vietnam, respectively. Like in the other 42 countries where the brand is present, the concept and strength of ELLE will contribute to promote the women’s position in the Vietnamese society and provide them with a unique vision over the world. We are delighted to have reached this agreement with Ringier Vietnam, a reliable partner with a recognized expertise in magazines, and to bring to Vietnam this new edition of ELLE. We will provide to this 43rd edition of ELLE all the support that our world leading network is capable to generate, for a very successful edition. Vietnam is the fastest growing market in Asia, and its women consumers are leading the way. ELLE will become a key partner in bringing the latest in international fashion trends to Vietnam, identifying and promoting the country’s talented young designers, and contributing to the increasing sophistication of women magazines in Vietnam. 😀 I’m always happy to read about how Viet Nam is evolving. But. really. Ngoc Thach’s outfit is the only decent looking one imo. man those look hideous..but then again, i guess i just don’t have apprecation for this kind of fashion..
but its good to see ppl are getting chances to express their designs and getting them into mainstream news outlets. OMG GET IT OFF GET IT OFF! hahah…man those are some hideous outfit. Talk about cruel and unusual punishment.